Due to their high political impact, Gender Studies as an academic discipline are the subject of a vivid discourse within Germany. This discourse was further inflamed by a publication of the politically involved Heinrich-Böll-Foundation named Gender, Wissenschaftlichkeit und Ideologie (Frey et al. 2013). The contents of this publication have been discussed intensively in numerous media like internet forums, blogs and the daily press (e.g. comments and interviews). 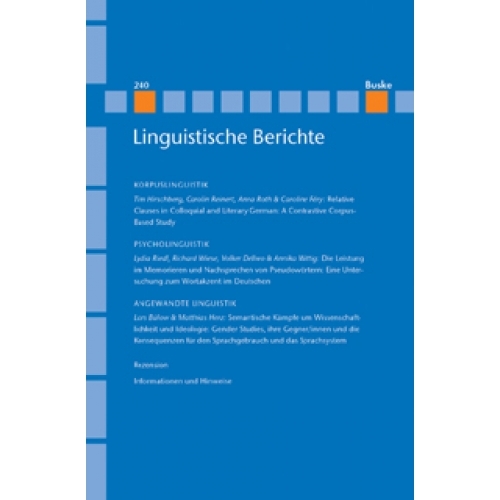 Within this discourse, the main focus lies on the dispute on the terms Ideologie and Wissenschaftlichkeit (ideology and scientific values) regarding the field of Gender Studies and their critics. First and foremost, this dispute is a consequence of the close link between scientific approaches and political claims, like the demand for a gender sensitive use of language. This demand was recently realized through the gender sensitive redraft of the German Straßenverkehrsordnung (StVO; road traffic act). The discourse on scientific value and ideology is rather based on mutual recriminations than on rational debates on the particular subject. 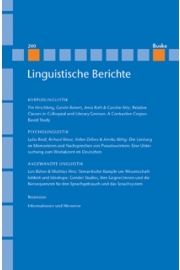 A linguistic discourse analysis has been used to illustrate that the discussion is far from leading to constructive synergies, since political ideas clash with scientific claims. As a consequence, all parties involved react by means of severe criticism. Therefore, the redraft of the StVO is a good example for a politically motivated action, since the underlying argumentation for a gender sensitive reform shows several deficits which is demonstrated by a linguistic analysis. In the course of a discussion about if and how gender sensitive approaches can be adequately realized, we declare ourselves in favour of a constructive exchange based on a clear focus on the specific scientific field without political demands in the forefront of scientific results.